Are you interested in Coleman generators? Well, according to search engine statistics so are thousands of other people. It stands to reason that finding Power Generators made by Coleman should be pretty easy… right? Well, it can also be quite confusing because Coleman doesn’t make generators anymore. Several years ago, Coleman sold its generator division, which was called Coleman Powermate. The Coleman Powermate logo is still seen on a variety of accessory items related to generators, such as covers and power cords. But, the generators themselves are no longer associated with the Coleman Company. Powermate went on its own about 10 years ago and in 2008 it declared bankruptcy. Shortly thereafter, an international industrial conglomerate named PRAMAC (headquartered in Italy) bought Powermate and its influx of cash and dedicated management has revived the Powermate line of generators significantly. 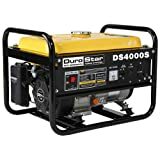 Today they carry a complete line of recreational, home backup and commercial generators. 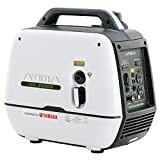 If you go to the Powermate web site, you will see that they feature a variety of generator sizes from the 1800 watt PM0431802.01 model up to the 5700 watt PM0675700 portable home generator. They support their field distributorships by not quoting prices on their own web site, so it behooves you to do your own shopping. 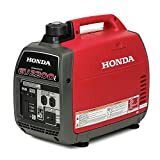 For example, the 5700 watt model mentioned above can be found with so-called sales prices from $849 to $945 with free shipping to the 48 continguous states. Of interest, those prices relate to retail assumptions that vary from $1024 to $1337. The Powermate generators (still referred to as Coleman Powermates) use a variety of engines depending on the wattage and featured characteristics of each unit. They even have an OHVI engine similar to… but not identical to… some Generac models. The Coleman brand name has been well-known for many years. At one time, Coleman Powermate generators were relied upon for camping, home backup power and commercial usage. 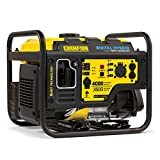 It’s interesting that even today people seem to believe that Coleman generators are being produced when, in fact, this was discontinued over 10 years ago. Used models are still being sold and it is likely that you can find the Coleman Powermate brand on the Internet. However, it would be wise to research parts and labor accessibilties before committing yourself to any purchase of a used generator. Powermate Product Service Representatives can be contacted 24-hours-a-day, 7-days-a-week to answer your questions. You can call our toll-free hotline at (800) 445-1805. Always remember to have your Model and Serial numbers available at the time of your call.